Seattle Bicycle Accident Attorneys l Davis Law Group, P.S. Seattle is home to tens of thousands of avid bicyclists, and serious bicycle accidents happen every day throughout the entire state of Washington. Although drivers are required to exercise reasonable care when sharing the road with cyclists, a serious crash can happen in a moment's notice. If a driver's reckless or negligent driving caused you or a family member to be injured in a crash, a bicycle accident attorney can help you get financial compensation for your injuries. We believe that every successful bicycle accident recovery starts with the injured victim having up-to-date and accurate information about the legal process. Attorney Chris Davis provided much of this information for free and we encourage you to read our book, Wheels of Justice: The Essential Guide to Bicycle Accident Law in Washington State, and to browse our website to find out more information about motorcycle accidents and the insurance process. The award-winning personal injury attorneys at Davis Law Group understand the complex issues that affect injured bicyclists and can help you better understand your legal rights. If you or a loved one has been seriously injured in a bicycle accident in Washington state, contact Davis Law Group at (206) 727-4000 for a no-obligation review of your case. In Washington state, injured bicyclists are entitled to receive a variety of types of financial compensation after an accident. Depending on the circumstances of your individual case, you may recover money for your past physical pain, future physical pain, emotional suffering, past or future wage loss, loss of future earnings, property damage, and more. At Davis Law Group, our skilled bicycle accident attorneys only represent the bicyclists that suffer the injuries — not the negligent drivers that cause the damage. We will work to properly evaluate your claim, identify all potential liable parties, work with doctors to see you get the best medical treatment, and negotiate with the insurance companies to get you the money you need. A bicycle accident can leave serious physical and emotional scars. Davis Law Group will work tirelessly to get you the financial compensation to help you move on with your life. To learn more about how our Washington state bike lawyers can help you with your bicycle accident or injury claim, contact us today for a free case evaluation at (206) 727-4000. "Davis Law Group is the best." 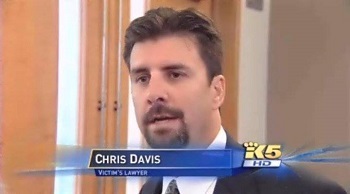 "Davis Law has helped us every step of the way with our case. I am glad to have them on my side." As a bicycle accident victim, your first priority should be on your physical recovery. Bike accidents often cause serious injuries, as cyclists are no afforded the same protections as vehicle passengers. With usually only a helmet to protect you, victims are often left with life-changing injuries. If you have any questions about the particulars of your bike accident case, contact Davis Law Group today: (206) 727-4000. What is a Bicycle Accident Claim Worth? Law-abiding drivers carry liability insurance that will pay for a victim’s damages if they cause an accident. Insurance policies usually have limits on how much it will cover, no matter how severe the victim’s injuries are. In some cases, if the cyclist was injured by a government vehicle or a commercial vehicle, the available insurance may be higher. In very rare cases, negligent design of the roadway itself may have contributed to the accident; in these cases, an injured cyclist may be able to file a claim against the city or county responsible for designing and/or maintaining the road. Lost wages and loss of future income are major factors in the calculation of economic damages. An injured cyclist who lost a year of income, or their entire ability to work, can claim more lost wages than someone who missed a few days of work and went on to make a complete recovery from their injuries. ​Medical bills play a large role in determining the value of damages after an accident. An injured cyclist who suffered many broken bones and internal organ damage, had to be airlifted to a trauma center, and spent several weeks in the ICU is going to have much higher damages than a cyclist with no broken bones who was treated primarily by a chiropractor and a massage therapist. While any lawyer who has passed the bar in Washington state is allowed to handle accident claims, few are prepared to get the best possible results for their clients. Attorneys who only take personal injury cases usually have more knowledge of insurance law and more experience with complex cases than attorneys who practice many different areas of law. Large personal injury firms often have an incentive to take lots of cases and close them quickly, making a large amount of money for the firm but only collecting a small amount for each individual client. Small personal injury firms like Davis Law Group are often more selective about the cases that they will take, and more willing to fight for the maximum amount of money their clients deserve. Call our office today at (206) 727-4000 for a free consultation. Davis Law Group is dedicated to protecting the legal rights of injured bicyclists in Seattle and across Washington state. As more people choose to ride bikes, the risk for collisions goes up. Left-hand turn accidents. As with other motor vehicles, motorists must yield to oncoming bicyclists when attempting a left-hand turn. Right cross accidents. When a car exiting a side street or parking lot turns right in front of a bike and hits them. Right hook collisions. When a car overtakes a bicyclist and makes an immediate right turn in front of them, serious injuries may occur. Dooring accidents. This type of collision occurs when a driver parks on the street and opens their door to exit the vehicle. A bicycle rider then slams into the open door. Rear-end collisions. A bicyclist may be forced to avoid a situation and swerve into the flow of traffic and get overtaken/rear-ended by a vehicle. Hit-and-run incidents. When a motorist hits a bicyclist and leaves the scene of the accident, the bicyclist may not receive medical treatment that could save their life. At Davis Law Group, we see a wide variety of bicycle accident injuries. No two bike collisions are the same, however, and the types of injuries suffered depend on the specifics of your case. Brain injuries. A traumatic brain injury (TBI) could range from a mild concussion to a serious skull fracture, leaving victims with life-long complications. Spinal cord injuries. Damage to the spinal cord is one of the most serious injuries reported after a bike crash. Any damage done to this part of the body could result in permanent injury. Facial injuries. Whether it’s soft tissue damage done to the skin or a facial fracture, bicyclists are at risk for serious facial injuries. Broken bones. One of the most common injuries suffered by cyclists in a collision, broken bones may require one or more surgical procedures to fix completely. Internal injuries. Broken ribs and damage to the internal organs can be caused by a serious bike crash. Dental injuries. Bicyclists that hit their face in a crash may suffer broken or chipped teeth, maxilla fractures or broken jaws. Joint and ligament injuries. Riders may try to brace themselves during a crash and wind up with serious joint and ligament tears and strains. Lacerations. Bicyclists often fall hard and suffer serious cuts and lacerations. Wrongful Death. If a bicyclist doesn't survive a crash, their surviving family members may bring a wrongful death lawsuit against the at-fault person. At Davis Law Group, our bicycle accident attorneys in Seattle know anytime injuries result from carelessness or recklessness of a driver, it is grounds to pursue a claim for compensation. Distracted driving. Drivers that get behind the wheel while on their phone put bicyclists at risk. Jaywalking. Pedestrians that choose to cross the street in unsafe places put bike riders in harm’s way. Weather. If it’s wet, cold and rainy out, bicyclist may not be as visible to drivers. Drunk driving. A driver impaired by alcohol likely won’t have the reaction time necessary to avoid a dangerous collision with a bike. Drugged driving. Drivers that are high on drugs are more likely to make poor and unsafe choices behind the wheel. Roadway design. If a road’s design contributed to your bike accident, the parties responsible could be forced to pay for your recovery. Nighttime darkness. Riding when it’s dark out is one of the major factors in collisions with motor vehicles. Distracted walking. People that are walking and looking at their phones — instead of watching for cyclists — can put lives at risk. Many people who have been involved in a bicycle accident simply want to learn more about their own legal rights before contacting a lawyer. Seattle attorney Chris Davis wrote Wheels Of Justice: The Essential Guide To Bicycle Accident Law In Washington State to educate bicyclists about the law and how it affects the process of pursuing a personal injury claim. You can order a free copy of the book now, and you will receive it in just a few business days. Get your complimentary copy today and learn for yourself how to navigate the insurance claims process, or whether hiring an experienced bicycle accident attorney might be in your best interests. Many accident victims are hesitant to contact a personal injury lawyer after being injured in a bicycle accident because of the common misconception that they cannot afford to hire an attorney. In reality, personal injury lawyers work on a contingency fee basis, which means there is no up-front cost and all attorney fees are paid out of your settlement at the conclusion of your case. Our award-winning attorneys will review your bicycle accident case for free. If we believe that we can help, we’ll explain how we may be able to improve the overall value of your case and why it may be in your best interests to hire a lawyer. Use the confidential contact form on this page or call (206) 727-4000. ?How Do I Find The Right Bicycle Accident Attorney? ?How Much Does It Cost To Hire A Bicycle Accident Lawyer? ?How Do I Pay My Medical Bills After A Bicycle Accident?